Islamic clothing has long been categorised to be long tunics and sandy coloured turbans, that very well may be the case for many. But for the 21st century Muslim living in the West clothing for them means something slightly different. Young Muslim minds have come up with a new genre of fashion. The "Islamically inspired" clothing market has come on leaps and bounds in this generation. But like many a market, this genre has become extremely saturated. So I've decided to, with the help of the brand owners themselves, create a blog post compiling and profiling the five best Islamic clothing brands. You've got to check them out! The first clothing brand on our list is PureXI, I love the idea behind this brand it brings a breath of fresh air to its genre. The concept behind this brand stands alone in its field. PureXI bases its design on a visionary idea, a fusion of Arab aesthetics and neo Tokyoite culture. The brand also is unique in its approach to its clientele. Although the designs incline towards Islamic quotes and art it doesn't limit itself to Muslims. The brand is flexible enough to appeal to an Islamic market but still be relevant in mainstream fashion. 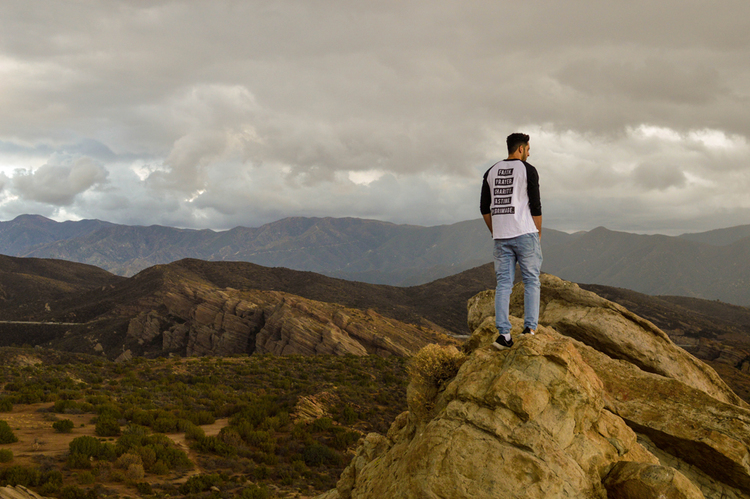 "Fashion is always changing, and although we may go in line with some trends, we also dabble in trend-setting as well"
Clothing is available for purchase worldwide through the online store purexi.com. The website feels smooth to navigate and is beautifully designed. The information and labeling are clear, and most importantly the products look great! I love the brand's identity and originality, they have a strong message and aim behind their clothing which translates perfectly into their art. "The aim is to give the Islamic inspired clothing scene a much needed fresh face that can be adopted by muslims and non-muslims alike. It's about delivering a strong spiritual message of positivity that can be taken in by anyone without any tainted preconceived notions that can alter our viewpoint of cultures and societies"
They are definitely worth checking out. 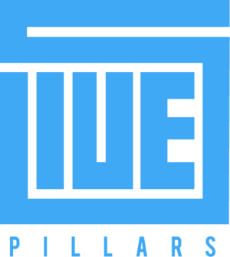 The second brand on the list is 5ivePillars. If you haven't heard of these guys you've probably been living under a rock, in fact, you probably are a rock. 5ivePillars started out in the US and has steadily grown into a powerhouse of this field, simply put when you think of Islamically inspired fashion you think of 5ivePillars. The brand was founded by two young Muslims Farrukh and Zeshan, the latter being a graphic designer. 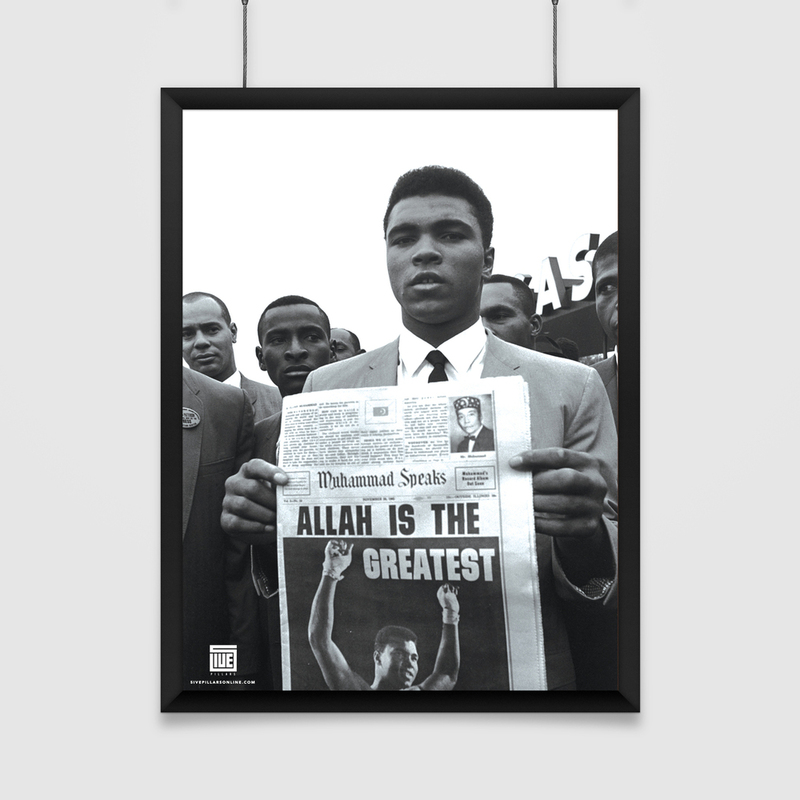 Their inspiration for designs seems to be a mixture of Islam (particularly the golden age of geometrical art) and the more recent Islamic inspired pop culture scene such as items based on the great Muhammad Ali. Out of all the brands listed, it seems 5ivePillars has the largest array of items available. This includes Tees, Hoodies, Beanies, Socks, Posters, Phone cases and even Tasbeeh bracelets. It is a testament to their success that they can operate on such a wide scale. One thing 5ivePillars do very well is their ability to market their products in relation to there consumers. We have seen YouTube personality's wearing there clothing including Qias Omar and The Mahmood Brothers. What also helps tremendously in their marketing is the great photography that they manage to churn out, on both their Instagram accounts and Look-Book. Ikhwaa is another clothing brand that leans towards a unique concept. What stands out at first about Ikhwaa is the websites layout and graphic design. The site's design is very well thought out which means navigation and labelling is clear as well as user-friendly. This inevitably translates into the clothing designs, and they have some real cool stuff. Cliche design ideas are less prominent in their range of clothing. As with most brands in this genre Palestine-related garments are always made available, yet Ikhwaa puts an original spin on this idea. This is a testament to the artwork which is well thought out and refreshing. One of the more recognizable clothing items is the "PRAY Tee" a spin on the popular OBEY clothing brand. I personally recognised it due to a certain high profile Muslim celebrity. It's great to see Islamic clothing being adopted by a mainstream celebrity. The ability to reach out and garner attention to their product highlights the great work they are doing. 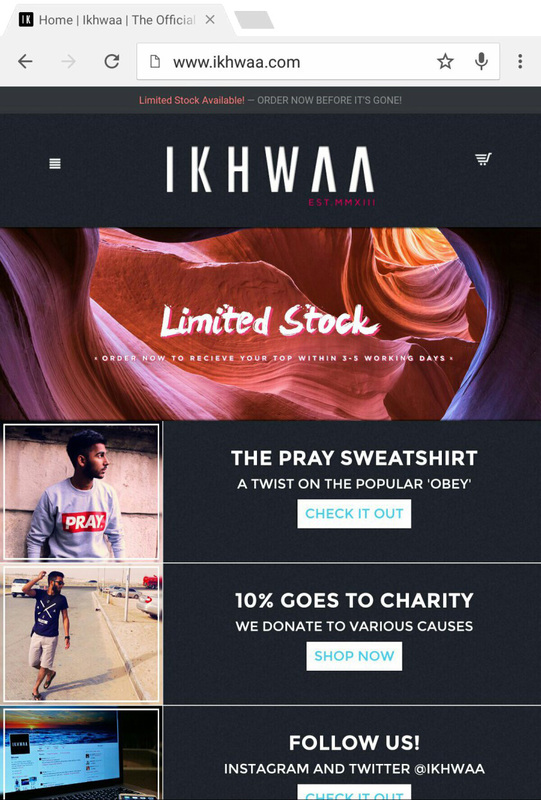 Another great thing about Ikhwaa is that 10% of all profits are donated to charity. Make sure you check them out ... I know I will. The fourth clothing brand on this list is "ByZayd", the brand started out on the east coast of the US by a guy called Zayd I assume. 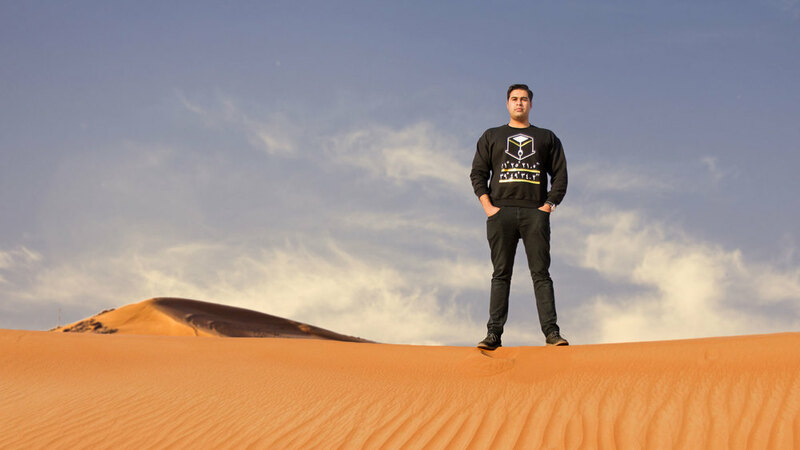 Jokes aside ByZayd is another example of astute business ownership in the Muslim community with an array of designs available in sweatshirt and T-Shirt form. The site is very well put together and has a very classy feel to it. The photography on this website really encapsulates the ideals of this brand. "byZayd has a concept of bringing urban Islamic clothing to the forefront, infusing Islamic art designs with urban chic fashion"
They have some great original pieces in both Arabic and English artwork. What is also great about their products is that they have also considered women in their design ideas, most brands tend to focus on male or unisex apparel and so their approach is refreshing. Some pieces that I really liked where the "Legit Hijabi Tee" and the "Al-Aqsa Tee". They have around a dozen designs up for sale each with a cool and unique spin on them, ByZayd also has a policy of donating 10 percent of all sales to charity. Checkout their site you wont regret it! The final clothing brand is Al Ghuraba. The name translates to "The Strangers" in reference to a Hadith by Prophet Muhammad (SAW). Their winter collection is still currently available, consisting of an array of products including sweatshirts, tees and beanies. It seems inspiration for designs is not lacking in this genre with Al Ghuraba being another example of this. They have some cool original pieces which are available in sweatshirt and T-Shirt form. Their products are minimal with only around ten items available for purchase, but that doesn't take away from the clothing which is beautifully done. Not only are their products impressive but their operations seems to be too. According to their page, the company operates out of three major cities in London, The Hague and Los Angeles, Meaning this company ships WORLDWIDE. The website is simplistically designed allowing for ease of access and purchase, an ideal which can sometimes be lost by others in the pursuit of a snazzy web page. 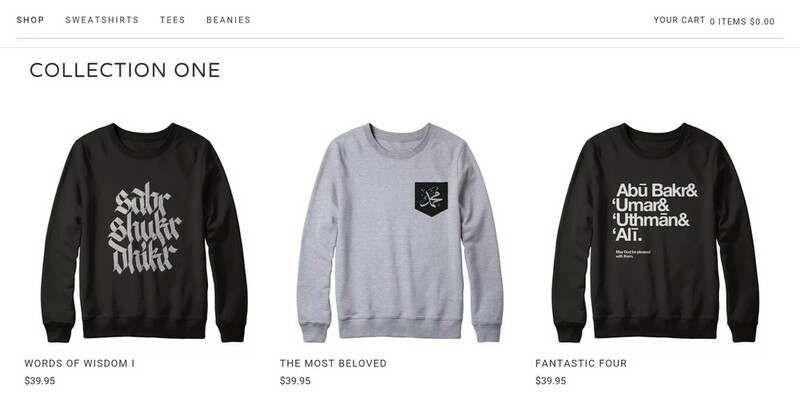 "We are an Islam inspired men's clothing brand. Aimed at providing products that remind ourselves of our Islamic duties, values and principles. With the hope to strengthen our Islamic identity"
I would definitely recommend checking them out! And thus concludes the list of the top Islamic clothing brands. Please note that this post is a compilation and not a ranked list, all brands have their great qualities and we feel that fashion, in particular is a personal choice based on individual ideas. Please do check out all listed sites and support this every growing section of Muslim commerce.